There were several men who appeared to be prisoners, they all shared a common cell and they all seemed to be miserably depressed with their circumstances. Night began to fall and all but one of the prisoners fell off to sleep. As the others slept soundly he pulled out a golden key on a string, which was around his neck and concealed by his clothing. With the key he released himself from the cell and freely roamed the corridors of the complex where he and the others were being held captive. There where many thing of great value that he touched and enjoyed and he fed himself of the delicacies that were found in the kitchen before retiring back to his place in the dimly lit cell with the others. Time seemed to progress and this went on each and every night while the others were asleep, without fail. Now the other prisoners were malnourished and sick as they were only fed rations from time to time and due to a lack of adequate exercise they had all grown increasingly weak that is except for one. Although they all knew that something was not right they were too sick to really concern themselves with the details. I asked the Lord, what does this mean? Why is it that this guy has a key and why does he not release himself and the others instead of feeding himself while the others die of sickness and starvation? What he said in response shocked me! The Lord said that this is how many in the church live their lives. The golden key represents the truth or the gospel, and the one prisoner has it and has kept it to himself, enjoying all of the benefits while never being changed by them. And even worst than that, by keeping this truth to himself others are dying around him, even within his personal sphere of influence. The gospel is (the key) the power of God to set the captive free. It is (the bread of life) which nourishes and invigorates the hungry soul. When one is empowered by the gospel, he should experiences freedom from all of the things that once held him captive and with it should come notable change in the heart and character of the individual. Sometimes we wonder, “What did I do to deserve this?” or “Why did God have to do this to me?” Here is a great illustration! To which the mother replies, “Yes, all those things seem bad all by themselves. 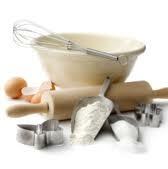 But when they are put together in the right way, they make a wonderfully delicious cake! God works the same way. Many times we wonder why He would let us go through such bad and difficult times. But God knows that when He puts these things all in His order, they always work for good! Romans 8:28-29 And we know that in all things God works for the good of those who love him, who have been called according to his purpose. For those God foreknew he also predestined to be conformed to the image of his Son, that he might be the firstborn among many brothers and sisters. We just have to trust Him and, eventually, they will all make something wonderful! God loves you. He sends you flowers every spring and a sunrise every morning. Whenever you want to talk, He’ll listen. You just have to give Him the time and chance. 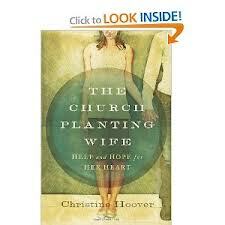 Being the wife of a pastor of a church “replant” I truly enjoyed this book. It was full of great information for those who may be thinking of starting out and planting a church. It was full of encouragement, and also gave lots of information on what to do and what not to do. I liked how the author dealt with issues of “church envy”, how to deal with criticism, and how not to let the root of bitterness to take a hold of you. This is a must have resource for any pastor’s wife.